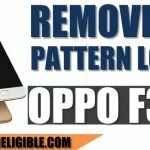 You can easily Remove OPPO R9S Pattern Lock , PIN Lock, Password easily by latest 2018 method, this method would also work on some “Qualcomm Devices” as well, you can try with your qualcomm OPPO devices too, If you’ve forgotten your PIN Lock, Password, Pattern Lock, after trying all method, this is the final method that would bring your device back. Note: This method has been applied on OPPO R9S. If you have other model of OPPO, Click Here to Unlock. -First try to “Hard Reset” your device. -Go to “Recovery Mode” by pressing (Volume UP + Power Key). -Now try to “Wipe Data” from there, if it asks you to enter Password, or Pin Lock before hard reset device, then we need to try alternate method. -Go to your Computer internet Browser. -Type in google search bar “Download FRP Tools“. -Go down, and download from there “Miracle 2.58“, and also “Qdloader-HS-USB Driver“. -First of all, Install “Qualcomm Driver” to Remove OPPO R9S Pattern Lock. 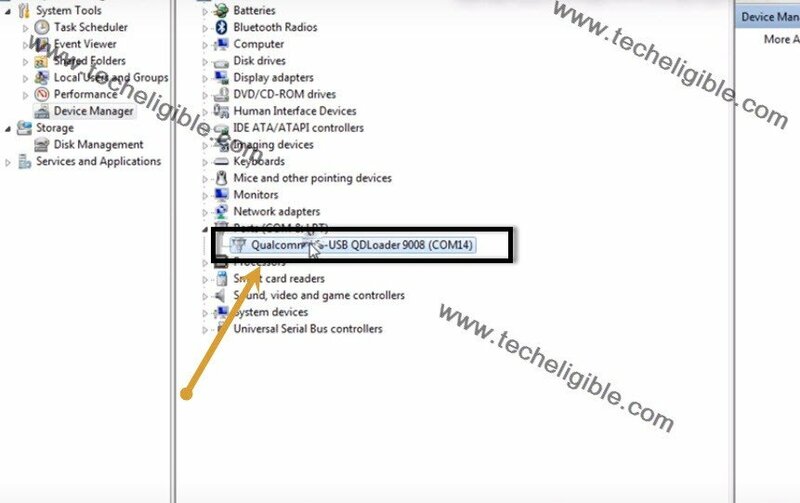 -Open “Device Manager” in your computer to trace “COM PORT”. -Keep opening “Device Manager” in front of you, because you will be able to understand what is the “COM Port” of your device, and com port will appear right after you connect device to computer. -Now while pressing both (Volume UP + Volume Down) keys, connect your device to computer. -Keep pressing both volume keys until you see device has successfully connected to computer. Note: Make sure you are both volume keys while connect your device to computer. -Once device connected to computer, you will be able to see your device” COM Port” as shown in below image. -Turn off “Antivirus Software” to avoid miracle file deleting. 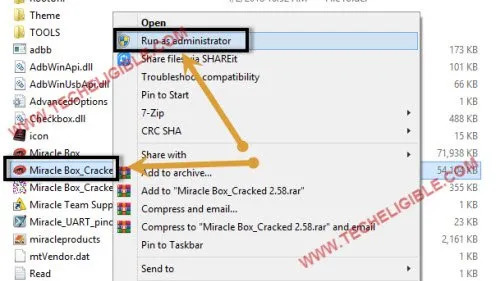 -Extract & Open “Miracle 2.58” software. 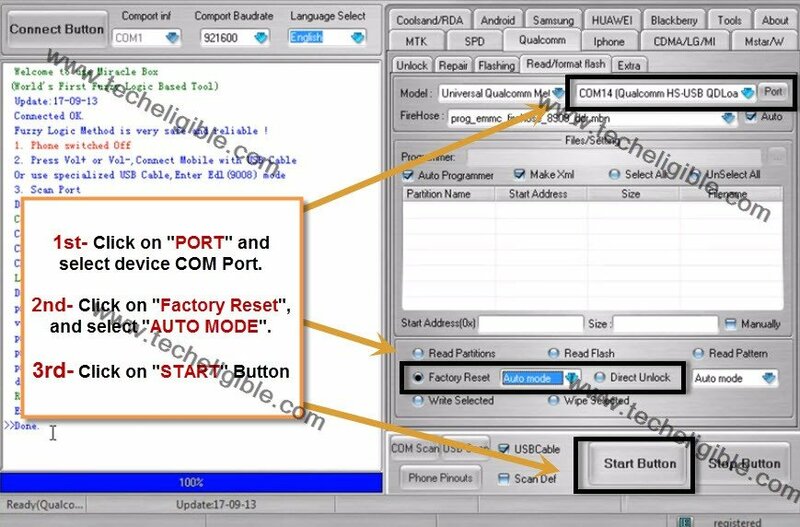 -Click on “PORT” and select right “COM Port” of your OPPO R9S Device to easily Remove OPPO R9S Pattern Lock. -After that, select “Factory Reset” and “AUTO Mode” in your miracle. -Now you are ready to Remove OPPO R9S Pattern Lock by clicking on “START” button. -Wait for a while until Miracle 2.58 Remove OPPO R9S Pattern Lock. -Once miracle finish its work, you can unplug your device from computer, and then complete initial setup to access your device HOME SCREEN. Thanks you’ve succeeded to Remove OPPO R9S Pattern Lock, if you have any question regarding this method, yo can us in comment session. Can remove the pattern lock and keep the data files inside d phone ? Bonjour Techel j’ai bien exécuté le tuto. Mais j’ai un message d’erreur. After pressing start it wont reset, it says Bootload error id: 003. 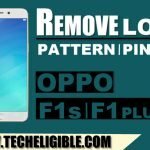 Im unlocking FRP on OPPO R9s plus. What will i do to resovle the error.. Tnx! you should search on youtube, you may have to flash with your device firmware. 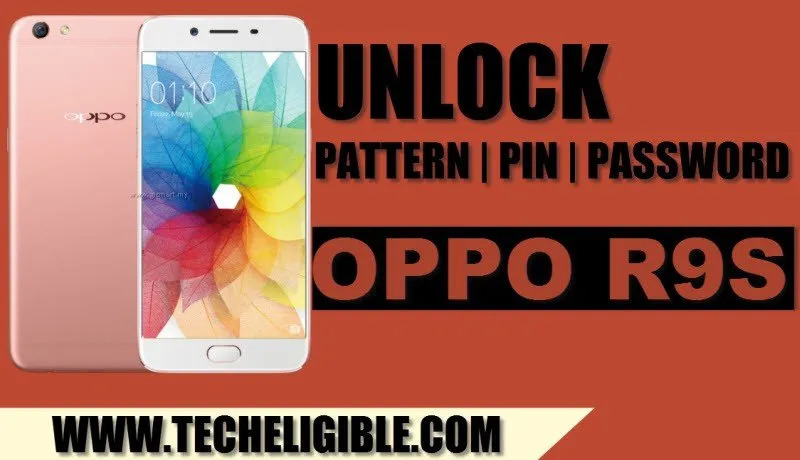 Is this can be use for unlock pin lock oppo r11+? If you have accessed to your phone, then why you did not add new pin code ?, you should soft reset your device as well, and then add new pin in your device.